Former Aussie captain - Steve Smith is yet to recover fully from his elbow injury and may take a little time to get into the groove. 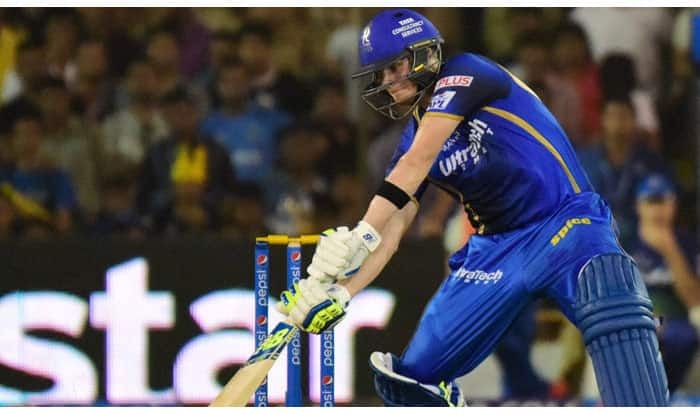 Australian batsman Steve Smith will embark on a redemption journey when Rajasthan Royals open their campaign against Kings XI Punjab in the 12th edition of the Indian Premier League (IPL) on Monday. Smith was handed a one-year ban along with his then-deputy David Warner exactly a year ago for their roles in the ball-tampering scandal in South Africa. Smith was last seen in action in a couple of Bangladesh Premier League (BPL) matches late last year before an elbow injury ruled him out of the tournament. The ban was limited to state and international fixtures only and not domestic or club cricket. The IPL will be the actual start of his long road to redemption and Smith would be looking to make the most of it ahead of the World Cup, starting May 30 in England. Smith, though, is yet to recover fully from his elbow injury and may take a little time to get into the groove. With Smith in their ranks, the Royals have one of the best teams this season led by Ajinkya Rahane and they would be eager to capitalise on the home advantage tomorrow.